Anyone who has lived in Saratoga for a while will have their “go to” lists. These would be all the recommended restaurants, shops, parks, museums and other places of interest. Longtime residents will also have a list of recommended service professionals such as plumbers, mechanics, handyman and electricians. Depending on the situation, there’s always a chance to add to the list. For instance, you might require the need of some quality junk hauling but aren’t sure who to call on in Saratoga? The answer is simple: Junk King Albany. As you do your research into this company, you are going to discover why they are the area’s leading professional junk hauler. 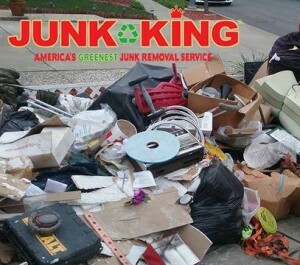 As a company, Junk King has been in operation since 2005. What started as a single junk hauling service on the West Coast has quickly spread to become a nationwide network of reliable junk haulers operating in every major metropolitan area in the country. You can franchise a business like this without being able to build on a solid reputation of delivering on the promise of that business. When you hire the right people, junk hauling does not have to be complicated. The crews working for Junk King had gone through rigorous training in order for them to be able to be licensed and insured. That sets them apart from many so-called professionals. It is also important to Junk King that there crews have a friendly attitude. They should treat every home with the same kind of respect they would want their home treated with. This is reflected in the quality of work they perform. Junk King will only move an object out of the house once they have determined the safest route that won’t damage anything else like walls or floors. Yes, with Junk King on the job you’re not to have to do any of the lifting and loading. That can have a great influence on what you want to get rid of. There shouldn’t be any hesitation with regard to an object being too heavy or bulky. It can all go with help from Junk King. When you need to look for reliable junk hauling in Saratoga look no further than Junk King Albany. They get the job done right every time. This entry was posted in Albany Junk Removal and tagged Junk King, junk removal, Saratoga on December 29, 2018 by Junk King. Last updated December 29, 2018 .